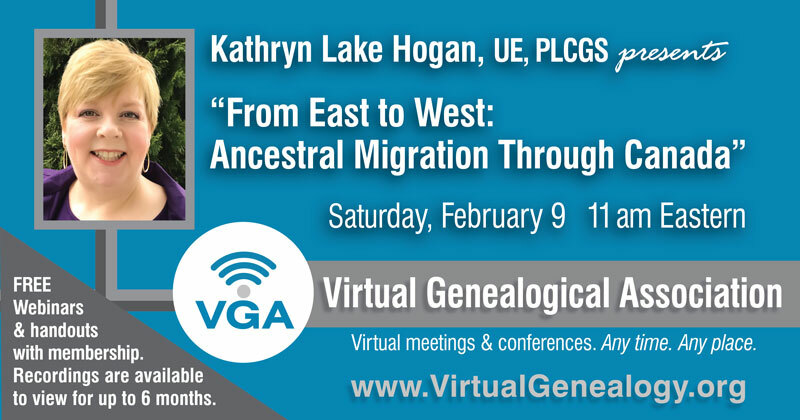 Kathryn Lake Hogan is known for her fun and dynamic style as a professional genealogist, author, educator and speaker. Kathryn is a graduate of the University of Windsor with a Bachelor of Arts degree, and the National Institute of Genealogical Studies, having earned three Professional Learning Certificates in Genealogical Studies in methodology, Canadian, and English research. Kathryn is the Canadian research virtual chat host/coordinator with the Institute.